She replied with that smile that always made me wobble a little inside. She took my hand. 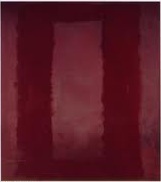 I stared at one particular painting, a red rectangle set vertically on a maroon background. The depths of the colours varied and it had a shimmering quality, but it still did nothing for me. I glanced aside at Daisy and saw the delight on her face. I guessed that we were going to sit there for a while longer but I was glad that she was happy. It gave me more pleasure than the paintings. It was about four months later that the doctor told her there was a problem, and another nine before the night I sat by her hospital bed, holding her hand as she mumbled through the drugs and drifted away. I didn’t move for an hour after she died, suspended in a thick darkness that dulled the pain. Then I tore up inside. I went through the ritual with our families and friends, shedding tears quietly at the funeral, then erecting a sad smile as I listened to condolences and agreed with a dozen people that we should meet again soon. I tried to carry on, went back to work, made an effort to see friends, and every other night I locked out the world and rolled in a wave of grief. I lay on the sofa, the bed, the floor and cried without restraint, feeling that this was more real than the façade I put up outside. It defined me. I tried to find a way out, and sat in more than one church when it was open for private prayer. I had always been agnostic, but when I gave God a chance He had nothing to offer. It was a temporary comfort to bathe in the quietness, but there was nothing that I could relate to Daisy and the solace dissolved the moment I stepped outside. I went to a grief counsellor and repeatedly talked until I cried. He was sympathetic, skilled with soothing words and encouraged me to focus on small moments of joy. But every session produced a fresh explosion of tears, and after three months I shied away. At the weekends I left the city and took long, solitary walks. I stood on the brows of hills, looking across fields and woodland, trying to find something that would give me a sense of delight. It stirred up memories of similar walks with Daisy, finding a laugh at every turn on the path, and reinforced the crushing sense of loss. I went to the coast, walked clear of the towns and stared out to sea. There was too much of it, reminding me how small a person becomes when they’re immersed far from shore. I lay on the floor of my lounge and listened to music, gentle pianos and softly voiced singers, but it just intensified the pain. No-one urged me to find someone else – all my family and friends were too sensible to think it would come easily – but a couple of mates encouraged me to find a woman who wanted no more than a night or two between the sheets. I felt unable to do it at home, close to the pleasures I had shared with Daisy, but I went on holiday to a Greek island thinking about a roll in the hay. After a few nights of sitting in beachside bars a Norwegian woman took a liking to me, we shared a couple of days and evenings together, and she took me back to her room. I felt a flicker of excitement as we fondled and kissed, and moments of pleasure as both of us came; but within minutes I was gripped by guilt. This wasn’t right; I had cheated on Daisy. It was irrational but overwhelming. I lay awake until dawn then crept out of the room, went back to mine and rolled up in tears. The next day I found the woman and apologised, and we avoided each other for the rest of the holiday. The following weeks were some of the worst. Until then I had been able to focus in the hours I spent at work, but the guilt added to the weight of the grief and my concentration fractured in brief interludes of despair. I did hold it together, but I made a few mistakes, people said I looked ill, and I retreated from any kind of social life. My evenings were all spent at home, struggling under the weight of depression. My loss was everything. It was with me during an awkward meeting at a client’s office by the South Bank. I nearly blew a delicate negotiation, recovered sufficiently to save the deal, and walked out relieved but worried that I wouldn’t get away with it the next time. It was late in the day, not worth returning to my office, and I walked along the riverside trying not to think. At Tate Modern I paused, tugged by a memory that had been buried in the pile. I guessed that the paintings were probably still in the gallery. I lingered, approached the entrance and felt a moment of anxiety. Would this just provoke a fresh shot of pain? I nearly turned away but then felt a twinge of guilt, as if it would disappoint Daisy. I took the escalator and wandered aimlessly. I couldn’t remember where to find the room or the artist’s name. After a few minutes I found one of the gallery attendants and asked. She walked me through two rooms and pointed to the opening to a third that was more softly lit. “A nice place to sit,” she said. I thanked her and entered the room. A couple of women were sitting silently on the bench. I walked around and gazed at the paintings, not attempting to make sense of the shapes. Black on Maroon, Red on Maroon, subtle variations of colour within simple lines that don’t pretend to be anything else. The two women left the room. I sat on the bench and realised that I was facing the same picture as when I had sat there with Daisy. I stared at the red rectangle. I didn’t try to make sense of it. My vision floated slowly across the lines, absorbed the shifts in the intensity of maroon then eased into the space at the centre. I felt comforted, immersed in a soft detachment from life. I heard Daisy whisper. I could hear that she was smiling. A tear ran down my cheek and hit my lip as it turned up into a smile. My fingers curled around the edge of the bench and I felt a sense of joy. I whispered to Daisy. Ten minutes later the tear has dried and my eyes are on another of the pictures when an attendant enters and says the gallery is about to close. I get up, look at the Red on Maroon for a few more seconds then make my way to the escalator. I leave the museum at the riverside exit. It’s still light outside and the sky is clear. I look up at the Millenium Bridge then across the river at the dome of St Paul’s, and feel glad to be alive. I enjoy the view for a couple of minutes, then turn and look at the museum, knowing that I’ll be back soon. I’ll still feel the pain, I’ll continue to grieve; but I’ve found a place where I can begin to heal.